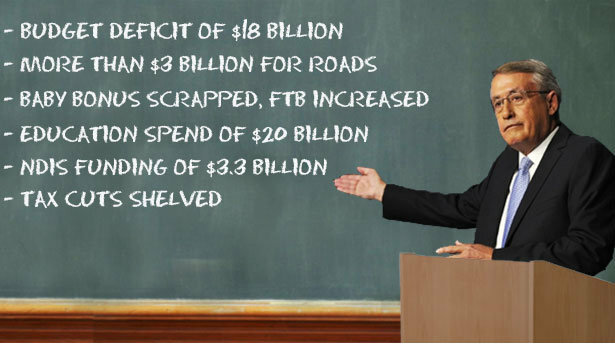 The 2013 Federal Budget only contained a few surprises as many of the measures had already been announced. Note: These measures are proposals only and may or may not be made law. A change of Government in September 2013 may mean that these proposed changes may not even happen! The Medicare Levy will increase by 0.5% to 2% pa from 1 July 2014. The $5,000 Baby Bonus will be removed from 1 March 2014. Instead, families eligible for Family Tax Benefit (Part A) will receive $2,000 following the birth of their first child, and $1,000 for each subsequent child. – 1 July 2014 for people 50 and over. From 1 July 2014, all pension asset earnings in Super Funds above $100,000 will be taxed at 15%. In the 2012 Federal Budget, the Government announced that from 1 July 2012 individuals with incomes above $300,000 pa will pay an additional 15% tax on their concessional super contributions. Draft legislation for this measure was recently released and was confirmed in the 2013 Budget. From 1 July 2014, tax deductions for self-education expenses will be capped at $2,000 pa for individuals. Note that at this stage, there is no cap on deductions claimed by businesses for employee training. The proposed changes to the marginal tax rates and income thresholds which were due to take effect from 1 July 2015, will no longer be going ahead. Effective 1 July 2013, this offset will be phased out. Transitional arrangements will apply for 2014 and 2015 for individuals who have claimed the offset in the 2013 year. Up-front and voluntary early repayment discounts under the HELP program will be removed in 2014. University and other eligible students will no longer receive a discount if they pay their fees up-front or repay their HELP debt early. Our team at Leader Accountancy are here to help you make the right financial decisions. Contact our office TODAY and book a meeting with us (or a Skype meeting or a phone meeting) so that we can help you SAVE TAX legally and create wealth for your family!